From a pre-visit lesson, to hands-on field trip, to post-visit concluding lesson, this experience will help students learn wetland ecology and become environmental stewards. These programs have age appropriate activities that correlate to grade specific Next Generation Science Standards (NGSS) and History/Social Science Standards. 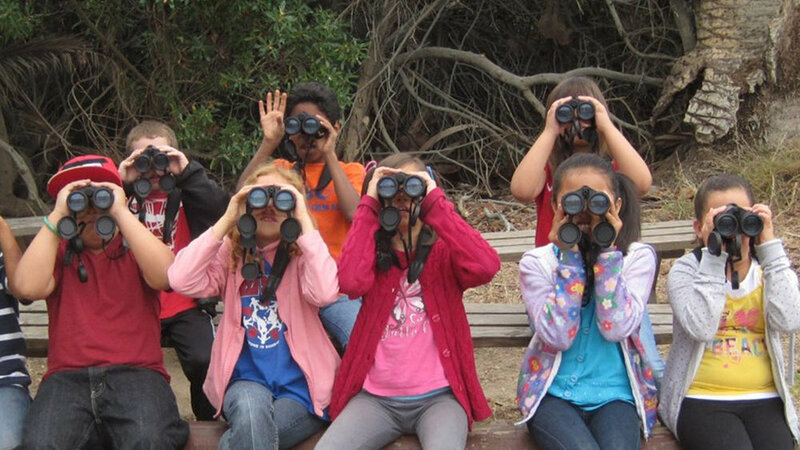 Help your students grow their understanding of the natural world and their role in it through Explore Ballona! Discover what living things need to survive (food, water, air, shelter) and where they find them at Ballona Discovery Park. Explore plants and animals external structure adaptations and how they help them survive around Ballona Discovery Park. Dig into how plants often need the help of animals to successfully pollinate and disperse seeds at the Saltwater Marsh. Uncover the variety of adaptations that help living things survive in the Saltwater Marsh. Investigate how local waterways have impacted both humans and Ballona Wetlands. Discover the myriad of ways living and nonliving factors interact in the ecosystems found at the Saltwater Marsh. To better serve the variety of classes and topics for these grade levels, we provide tours tailored to each teacher’s need. Typical tours are 2 hours and start at 10am. We appreciate an honorarium of $5/person but inability to donate will NOT affect the tour. How many students may I bring? We can accommodate up to 60 people (students and adults) per field trip. Larger groups must schedule multiple days. All tour participants need to wear close-toed shoes and should bring water and a jacket. Can my tour include restoration? Restoration projects can be included in tours but is recommended for 3rd grade and up. For younger groups, we ask for at least 2 adults per class but no more than 4 per class. Do you offer bus scholarships? 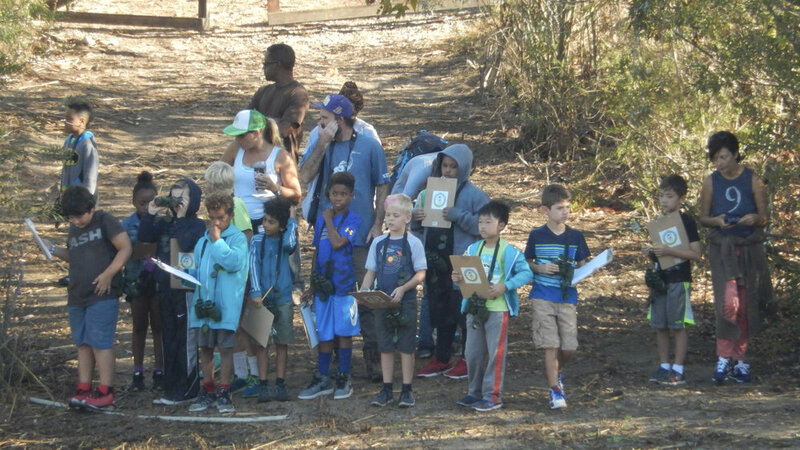 Friends of Ballona Wetlands is proud to provide a limited number of bus scholarships each year upon request. Where can we eat lunch after the tour? Local parks are within a 5 minute walk with restrooms and grass areas to play. How do I get pre and post visit lessons? Lessons may be provided for teacher use after trip is confirmed, or if availability allows, staff may come to schools to teach the lesson(s).